February has been a cold month, the kind where you get home and put the fire on to warm up. 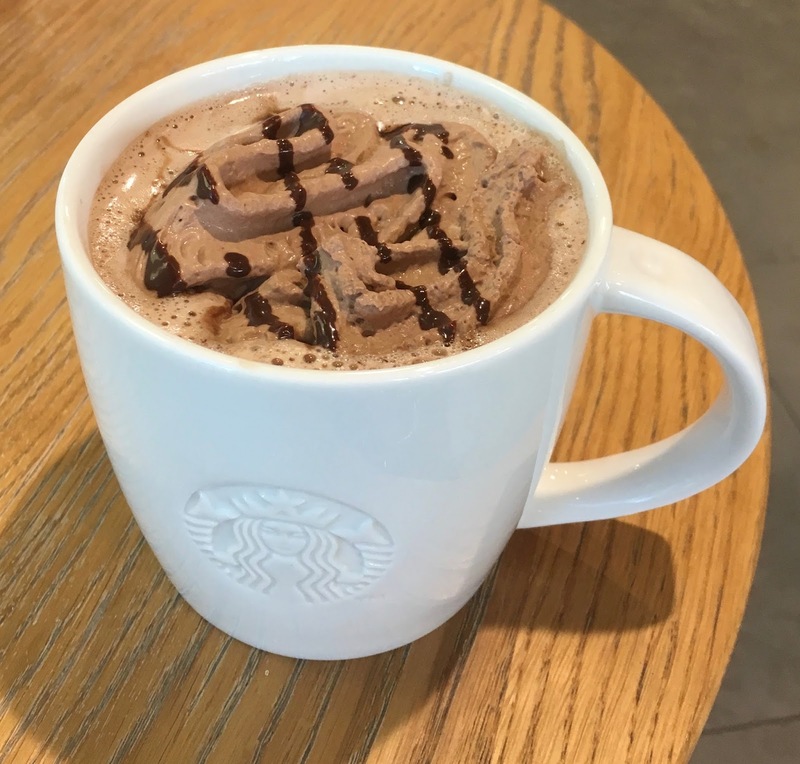 When I was out shopping I was looking for somewhere to warm up there too and thought I’d see if there was anything new in Starbucks. I was excited to see they had a new drink, Molten Hot Chocolate, and knew that would be perfect to warm me up. The drink came topped not with regular cream, but with mocha infused whipped cream, and drizzled with chocolate sauce. It looked like just what I needed. I gave a the drip a sip and found the hot chocolate was remarkably soothing. The flavour tasted like a proper hot chocolate, full of flavour and very rich. The cream added an nice mocha taste, which contrasted well with the drink. To be honest the hot chocolate had so much flavour it felt like dessert in a mug. Despite this when I finished my Molten Hot Chocolate I found loads of chocolate sludge at the bottom of my cup. Now if this had been mixed in I suspect the drink would have been even more intense if that is possible. I’ll have to go back for a second cup, just so I can test the theory of the completely stirred version!